Olympus has introduced two new cameras to sit in its PEN range of compact system cameras (CSCs), both using the sensor from the Olympus OM-D. The cameras, which will sit in the middle and bottom of the PEN lineup, have combined some of the best features of both the PEN range and the newer OM-D camera. The new Olympus PEN Lite E-PL5 and new Olympus PEN Mini E-PM2 team up the 16.1 million pixel from the Olympus OM-D with a True Pic VI image processor, which should mean that the cameras are capable of delivering similar image quality. 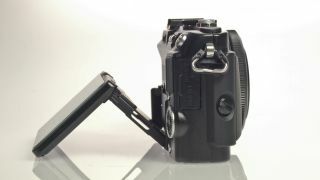 For the moment, the Olympus PEN E-P3, which sits at the top of the PEN range, has not been replaced. Both now feature a touchscreen, with the Olympus PEN Lite E-PL5 featuring a tilting version, to help with shooting from awkward angles, and the Olympus PEN Mini E-PM2 including a fixed display. The PEN Lite's screen is so flexible that it can be tilted upwards for shooting self-portraits. Fast AF autofocusing, as already seen on the Olympus OM-D, is also available, along with in-body image stabilisation. Well known as a keen advocate of digital filters, Olympus has included 12 different art effects on the latest PEN compact system cameras, including cross process and pop colour. Filters can also be used while shooting HD video. The new Olympus PEN Lite E-PL5 price is set to be £599 (around $970), while the Olympus PEN Mini E-PM2 will cost around £499 (approx $810). For an extra £70 (approx $113) you can add a new 15mm "body cap" f/8 lens that enables spontaneous and quick shooting while also protecting the camera from dust. A November release date is currently the most likely.